Today, Netflix Inc. (NASDAQ:NFLX) report strong earnings for the first quarter of 2019, paid sub additions were slower compared to the fourth quarter. Below are comments from analysts on the company‘s earnings announcement. Netflix paid sub net add guidance missed Street estimates as price hikes both in the U.S. and in key international markets create a drag on subscriber gains. Guidance for negative free cash flow in 2019 was increased to -$3.5 billion from -$3 billion on higher cash taxes and investment in real estate and production facilities. Netflix guidance for a 13% 2019 operating margin remained constant. Average revenue per user is set to accelerate on price hikes globally, though FX remains a headwind. Netflix reported better than expected q1 results but q2 guidance came in lower. Despite this, underlying performance points to steady momentum on multiple fronts. Domestic growth concerns validated: fie had highlighted (signal in the noise: FFOL. 10,04⁄15⁄19) the risk to q2 sub guidance due to recent price increases over a compressed time line, in a seasonally weaker quarter. Q2 US guidance therefore came in lower at300k vs our and consensus estimates. This guide is comparable to q2-16 when NFLX’s price increase resulted in higher churn. However, at that point, Netflix’s US penetration rate was 46$ compared to 60$ today and the price increase was $1 vs $2 this year. Therefore, while the guidance does highlight higher churn, the implicit increase in churn is actually lower vs 2016, normalized for the degree of price increase, penetration rates and absolute price. This points to the fact that underlying us business trends continue to improve despite the headline. This impact should be further muted in 2h’19given the new seasons of some of the most popular shows (stranger things, 13 reasons why, crown) and movies. 2019 FCF losses were guided larger after initial "similar to 2018" guidance last quarter (explainable tax and investment changes), contributing to a mixed quarter. But we think a largely unchanged view is deserved. Domestic churn is in line with the last price increase, despite this one being net larger by including the base tier. It will be finished by end of 2Q and we expect a return to more consistent results -- helped by a strong content slate -- ahead of Disney+'s launch in the U.S. Reiterate Top Pick. We are maintaining a NEUTRAL rating on Netflix while modestly lowering our price target from $382 to $358, implying NFLX is (remarkably) fairly valued at yesterday's closing level. Its recovery to a 1% after market decline from as high as 6% reflexively just after the release does attest to NFLX's resilience after disappointing 2Q19 guidance for 5.0M global paying additions, near in-line with BRG, but well below near 6.0M consensus into the print. (This is despite a solid 9.6M paid member gain in 1Q19 vs. 8.9M guidance). 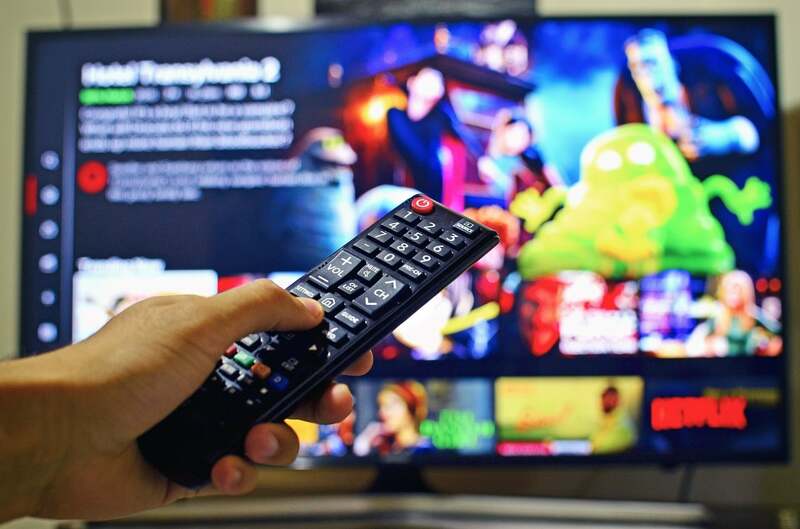 We do agree with Netflix management that new competition like Disney+ is largely complementary, and actually think that Netflix may now emerge as a somewhat less volatile stock. We are now lowering our upside outcome to $408 (+14%) from $438 while considerably raising our downside assessment to $300 (-17%) from $256. Revenue of $4,521M was roughly in line with our estimate of $4,500M, while global paid net adds of 9.6M was above our estimate of 9.0M, largely due to strong international subscriber growth. Contribution margin of 22.9% exceeded our estimate of 21.9%, where lower than expected international content spend drove margins higher than our expectations. EPS was $0.76, above our estimate of $0.59. Netflix reported record global paid net adds of +9.6mm in 1Q19, well ahead of our expectations and guidance for +8.9mm and also reflecting strong sequential acceleration from the +8.8mm paid net adds achieved in 4Q18. Stronger than expected 1Q subscriber growth in both the US and abroad speaks to the benefit of Netflix's unique global scale and its leadership in streaming content investments. Refer to our recent report, Follow the Leader, for additional details on our view of Netflix's pricing power and scale benefits. Netflix (NFLX) reported 1Q19 revenue of $4.5B (up 22% y/y and 1% above our estimate), and GAAP EPS of $0.76 (up 18% y/y and 36% above our estimate). 1Q19 US paid sub adds were 1.74mm (to 60mm) and international paid sub adds were 7.9mm (to 89mm). We think the best valuation question is “Can NFLX sustain its premium EV/sales multiple if US subs decline?” NFLX’s US sub add projections for 2Q19 are only 300,000 owing to a US price increase in 1Q19 & 2Q19, which elevates churn. More ominously, we expect Disney+ US launch on Nov 12 to be accompanied by heavy marketing of its $70/year (or $7/month) price for 100% of its Marvel, Pixar, Princess and Lucas Film movies. We expect US subs to turn off NFLX to try DIS’s new SVOD service in 4Q19 (as many NFLX subs do now when Hulu, CBS All Access or HBO Go have new content). Netflix reported solid 1Q results, but the 2Q guide was light on subscribers, particularly in the US with the potential for increased churn (as a result of the recent price increase) that is in line with historical models. Management still sees a long runway to expand viewing share despite coming launches from large competitors (Netflix still only accounts for 10% of US TV hours and 2% of global mobile traffic) and the potential loss of content to content owners’ own offerings (such as when Fox, Starz, or Epix pulled their content). While Netflix continues to post solid subscriber additions, we think the impending launch of Disney+ is likely to be an overhang to the stock, and we see shares staying range-bound until investors gain more clarity on its potential impact (D+ launches in Nov). Our estimates change only marginally, and our target price remains $320. Lowering target to $410 from $425 on modestly weaker FY19/20 subscriber outlook, partially offset by higher APRU, but maintaining Outperform rating. 1Q global paid subs +25% y/y, modesty slower than +26% in 4Q, with streaming revenue +29% ex. FX, vs. 35% in 1Q, as global ARPU increased 3% ex. FX vs. +7% in 4Q. Higher US price causing modest churn. Margins exceeded guidance, but company maintained prior FY19E margin outlook. Despite new competitive entrants (AAPL and DIS), NFLX cites potential for further upside with only 2% of global downstream mobile internet traffic vs. 10% peak viewing share in US. Product bundles have helped mobile adoption and shown solid traction thus far. Testing various plan prices in India. Netflix reported upside for Q1'19 and provided a mixed Q2 outlook. Most importantly, int'l sub adds were ahead of expectations for the quarter and essentially in-line for the Q2 guide. Q1'19 domestic subs were also ahead of consensus, but Q2 domestic sub guidance is below the Street. Q1'19 domestic and int'l contribution profit were each ahead of the Street driving EPS upside. The revenue outlook for Q2 is in-line, while the EPS outlook is below consensus estimates, but EPS is impacted by a change in accounting that results in a higher tax rate for the quarter. Despite an onslaught of new streaming services, we expect Netflix to continue to capture a significant portion of traditional content dollars as they migrate to streaming. We reiterate an OW and our PT on NFLX is $440. A solid better than expected subscriber and financial 1Q result and modestly weaker than forecast 2Q subscriber guidance (seasonality + churn effects from above average price hikes). During 1Q NFLX reported 1.74M (-23% y/y) U.S. paid net adds vs. our 1.55M and 1.6M consensus and 7.86M (+31% y/y) international paid net adds vs. our +7.5M and +7.3M consensus. 2Q U.S. subscriber guidance of +300K was below our and consensus of +650K, but we view the miss as a bit of a rounding error against the back drop of 60.2M subscribers, a higher than average price increase, a decision to more aggressively inform consumers of the hike and normal 2Q seasonal weakness. 2Q international subscriber guidance of 4.7M was right in line with 4.77M consensus. 1Q financial results were overall materially ahead of expectations including a free cash flow loss of (-$460M) vs. our (-$1B) forecast related to timing of content spend. 2Q guidance for revenue of $4.93B (+26%) on the back of successful price hikes was right in line, while operating income guidance was moderately below (on the aforementioned content cost push into 2Q). Management increased their ’19 free cash flow loss forecast from -$3.0B to -$3.5B on a change in company structure (one off tax hit in 2Q) and one off real estate and other infrastructure investments. $4.52B in Revenue came in above RBC/ Street, implying 22% Y/Y, though 28% ex-FX. The Q2 Revenue outlook calls for $4.93B, below the Street at $4.96B, implying 26% Y/Y and 32% ex-FX. Q1 Operating Income was $459MM (13% above Street and 14% above RBC). Global Subs Stay Strong – Domestic Q1 Paid Sub Adds of 1.74MM were above the Street at 1.60MM, while International Q1 Paid Sub Adds of 7.86MM were well above Street at 7.33MM and up strongly Y/Y vs. 5.98MM in Q1:18. For Q2, numbers came in below expectations, with Domestic Q2 Paid Sub Adds of 300K below the Street at 638K and down from 872K in Q2:18, and International Q2 Paid Sub Adds of 4.70MM below the Street at 4.77MM but up vs. 4.58MM in Q2:18. We note that management believes its strong H2 content slate will help accelerate Global Paid Sub Adds Y/Y in ’19. NFLX 1Q results were solid with member adds 0.7m above consensus (Int’l +0.6m, Domestic +0.1m). 2Q guidance is a little light with member adds 0.5m below consensus (Int’l -0.1m, Domestic -0.4m). We had flagged Domestic consensus as a high hurdle in our previews (leaving very little room for churn from price increases). Incrementally, Int’l guidance also has some impact from price increases (likely underappreciated by Street), while some key content (detailed below) is landing in 3Q vs our expectation of 2Q. As such, we think the 3Q slate (and 4Q slate) and set-up look even better than we previewed (we flagged 3Q expectations as a low hurdle). Maintain Buy. Our model is under review. Both for the Q1 EPS report and mgmt Q2 guide, the impact of recent pricing moves in a handful of countries was on full display. In particular, better revenue forecast and weaker sub guide (though we view this as a conservative framing by mgmt) will likely dominate the ST debate. Moving beyond that, we would focus investor attention on NFLX’s key attributes: a) pricing power in developed mkts; b) potential for pricing tiers in developing economies to open up greater scale; c) compound revs at a 20%+ CAGR; d) expand OI margins; e) lessen its dependence on capital market fundraising; & f) has low/no regulatory headwinds. As a result, over the LT, we see NFLX as a top pick as it capitalizes on the oppty to be the global leader in streaming media & the competitive moat around its business widens (via a mix of content spend, marketing, & scale). Revenue was $4.521 billion, compared with our estimate of $4.497 billion, consensus of $4.501 billion, and guidance of $4.494 billion. Operating income totaled $459 million, compared with our estimate of $400 million, guidance of $400 million, and $447 million last year. Operating margin was 10.2%, compared with our estimate of 8.9%, management’s target of 8.9%, and 12.1% last year. Better-than-expected profitability was driven by lower-than-expected marketing spend, as well as the shifting of some content spending to later in the year. EPS was $0.76, compared with our estimate of $0.59, consensus of $0.57, and guidance of $0.56.